The Marketing Team markets WordPress and its community to the wider world. Read more about our team and how to get involved. We meet on Wednesdays at 2 PM UTC in the #marketing channel on Slack. Our next meeting is thus: Next Wednesday 14:00 UTC. Did you know there are excellent video resources which can help you contribute to the WordPress Project? We’ve selected some videos from presentations at WordCamps across the world. They can be useful if you are curious about Contributor Days or preparing to lead a table at an event. Of course, they’re also interesting if you’re new to contributing! In a series of blogs, we are highlighting a selection of videos on WordPress.tv which have been identified by members of the WordPress community as good marketing resources. In this first blog, we are sharing three videos which help to explain how you can start making WordPress.org or support others in getting started on their volunteer journey. 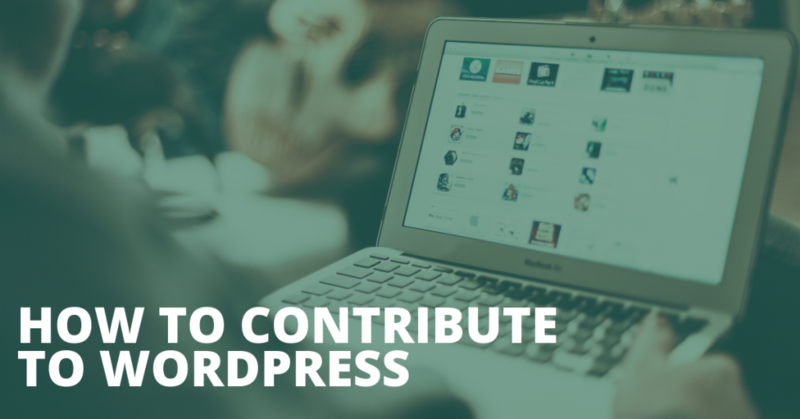 Have you ever wondered how you could start contributing to WordPress, or wanted tips on sustaining your contributions? Here are some videos that can help. First up, discover how a group of individuals got involved in contributing to the community as they share some tips from their experiences. Join Kathryn Presner, Yannick Lefebvre, Miriam Goldman, and Mel Choyce in their open discussion at WordCamp Montreal 2017. They talk about the different teams that work on WordPress.org and share tips that just might inspire you to start contributing. If you are new to adding to open source projects or unsure of where to start in contributing to WordPress, this video is ideal to watch. Featuring a talk by Josepha Haden, this video shows some of the ways you can get involved with the WordPress Project. Additionally, she encourages long-time contributors to support and encourage first-time contributions. Josepha’s beginner’s guide to contributions were recorded at WordCamp US 2017. It’s a great talk that helps you, or anyone you’re supporting in this, find their place as a WordPress contributor. Felix Arntz presented a useful guide to contributing to WordPress core and techniques for successful long-term contributions. His talk explores how you can make your volunteer time more efficient, how to find access to developer groups, and how you can make your ideas heard. This is a very inspiring talk by core contributor Felix, recorded at WordCamp US 2017. Follow him through his life story up to now, and what WordPress has done for him. It is interesting for non-developers as well! WordPress.tv hosts thousands of valuable and fun videos like the three highlighted in this post. At the moment, most of them lack subtitles. Did you know submitting subtitles is a great way to contribute? It helps improve the accessibility of the videos, and by that their reach. There are tools that make this process easy, so why not try? Subtitles are important and we’d love for you to help out by adding subtitles. Thank you to the speakers featured, everyone who has contributed to and continues to identify and review videos for marketing WordPress and the community. Thanks to @webcommsat and @siobhanseija for leading this initiative and developing the series.